A holiday home in Florence near Ponte Vecchio, the Waldensian Lodge is in the heart of the Oltrarno district, at easy walking distance to Ponte Vecchio, the Uffizi Gallery, Piazza della Signoria and the city’s main tourist attractions. It is housed in Palazzo Salviati, a treasure trove of artworks, which was built around the mid-1600s and donated to the Waldensian Board at the end of the nineteenth century. Today, the Waldesian Lodge in Florence offers ideal rooms for individual travellers, families, couples and groups. 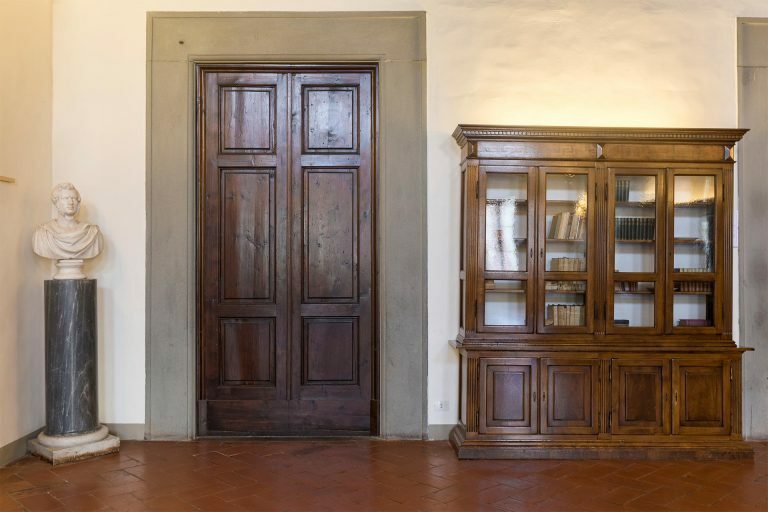 The multi-lingual reception desk is always available for information and suggestions regarding cultural and artistic tours of Florence and its surroundings. Breakfast is available for all guests, while half board and full board are reserved for groups. The Lodge has several meeting rooms and a splendid monumental hall for conferences, seminars and events. The Waldensian Lodge of Florence has 39 comfortable, functionally furnished rooms with private baths, free Wi-Fi, TV and AC. In the Oltrarno district, just a short walk from Piazza Santo Spirito, and within walking distance of Palazzo Pitti, the Old Bridge and the cathedral of Florence, it takes just 15 minutes to reach Santa Maria Novella train station. Free luggage storage and Wi-Fi, lift and access for disabled persons. Restaurant service, and meeting rooms for seminars and conferences are available for groups. The Lodge allots its earnings to the Waldensian Diaconia, which manages social and welfare services for the elderly, minors, migrants, refugees and disabled people, without discrimination towards physical appearance and cultural, gender, or religious traditions, political opinions, or personal and social conditions. This hotel was a pleasant stay after the previous hotel we had stayed at in Rome. The room was clean, spacious, had plenty of storage and had a cute balcony that we shared with two or three other rooms that you could have a nice cup of morning coffee on or a nice dinner on. The location is about a 17 minute walk from the station but there are bus stops closer. There are plenty of nice restaurants and small supermarkets near the hotel; there is also an amazing gelato shop on the corner right before you cross the bridge--a visit there is a must. Overall, the cost for the hotel was perfect for students, families, or couples traveling on a budget and the quality is perfect if you don't consider yourself high maintenance. By all means, do not expect any amenities usually found in 3, 4 or 5 star hotels. It is simple, it is clean, their front desk staff is utmost friendly. Of course, the bed could be more comfortable, but who cares. There are still living people on our planet who would consider the bed five star or even higher. Our spacious room would be a perfect choice for a family of 4 or even 5. WiFi yes. An elevator is under construction, and in place by Spring 2015. However, we preferred and still will prefer steps, it is the healthier choice. You will find a plain and healthy breakfast in a scarcely decorated room in this palace of yesteryears. You are close to river Arno and the city center and you will find many small nice and cosy restaurants in Your vicinity. Finally and above all, if you stay at this particular guesthouse you are supporting social projects run by the church. Enjoy your stay like a monk, too! This was a great hostal to stay in whilst visiting Florence. As Florence is an expensive city this was great as compensation. The hostal is large and isn't too far from the centre. The rooms are clean and comfortable with private bathrooms, which is a must for me. It's simple but just right for a night or two.